This is the third in a series of posts on the Global Colonial 1914-18. This kind of ‘conscription’ was of course not particularly stable. Whilst many of those sold chose to remain attached to the estates into which they were sold and enforce the predatory structure of the estates, prazo-holders also experienced multiple rebellions and desertions by their enslaved armies of enforcers. 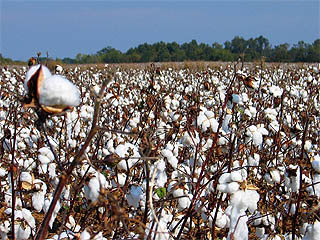 In particular, during the nineteenth century, productivity on the estates was so low due to the capacity of African communities to evade compulsion and the absence of investment, that prazo-holders began to try to sell off their enslaved armies to the lucrative slave trade headed for Brazil. 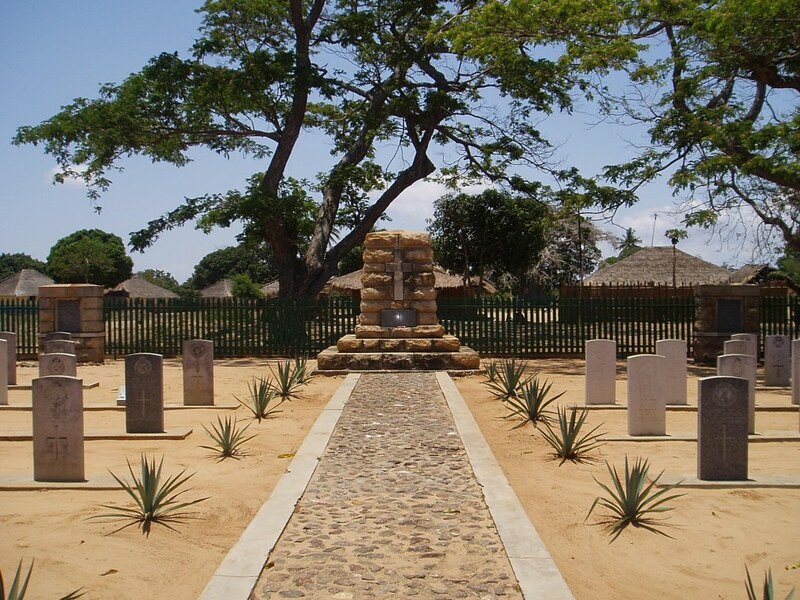 The Chikunda – the slave armies of the prazos in the Zambesi region – mobilised and deserted to form autonomous and migratory communities from the late nineteenth century onwards. 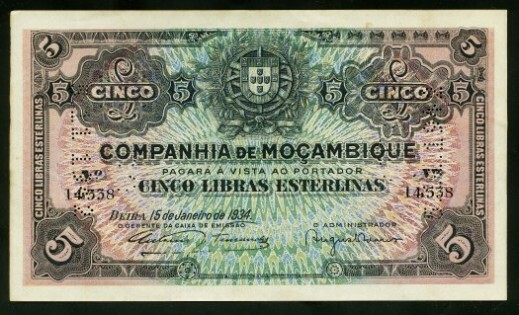 In the wake of the Berlin conference in 1884, where Portugal had just about clung on to nominal imperial control of its African territories, it was forced ultimately to lease them to mostly British, French and German capital through the establishment of colonial companies from 1891. 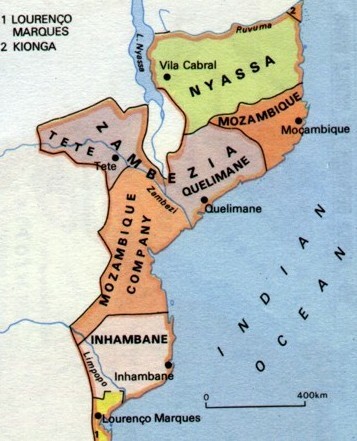 The Nyassa Company, the Mozambique Company and the Zambezia Company took over the vast lands formerly occupied by the prazos. Although better supplied with capital and administrative capacity, and run more like plantations than the former estates, the foundation of their extractive capacities was fundamentally the same – coerced military and agrarian labour based on ‘taxing’ the surrounding African populations, and, increasingly, supplying demand for migrant labour in South African mines. Between 1891 and 1929 these companies were the foundation of the colonial rural economy. Labour was not however limited to agricultural production – the infrastructure developed by these companies was also created by forced labour, known as chibalo. 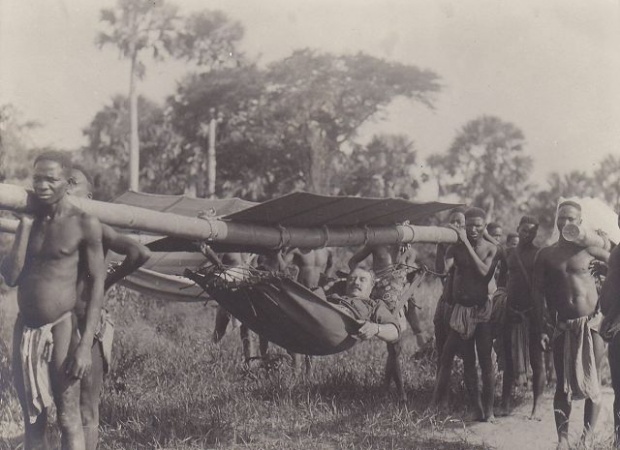 Amongst the inhabitants of northern Mozambique, which was being raided by German forces with regularity, forcible predation was not limited to those who were taken as porters, but imposed on the villages of the region, which were forced to deliver up food and supplies to passing armed forces of all stripes. The Nyassa Company had practised similar kinds of predation for decades – episodes are recorded where the women of Makonde villages were kidnapped and held as hostages until their husbands and families delivered some kind of ‘taxation’ to the company. In these periods of evasion and depopulation, famine and disease spread easily amongst the general population whose coping systems had been destroyed. Drought in 1918 compounded the numbers dying from hunger and also forced migration. At Versailles, the Portuguese claimed that the war had resulted in the loss of 120,000 indígenas (natives), for which it wanted compensation. When Portugal entered the war, its expressed primary objective was to protect its colonial status, even though it could barely afford to do so. It could not have been said to be doing well out of its colonial possessions as profit-making enterprises in 1914. But this did not prevent the committal of thousands of troops and state money by the Republicans to the defence of the colonies. Despite this, it won no military victories, lost equipment and supplies to the German raids and largely failed to assist its allies. More Portuguese soldiers died in Africa than in Flanders, but the vast majority simply from disease and poor conditions rather than through rare instances of combat. The gulf between its imperial anxieties and its tactical capacities extinguished tens of thousands of lives, both in terms of the European and askari troops, and in terms of the Africans who died in the effort to keep this colonial war machine afloat. 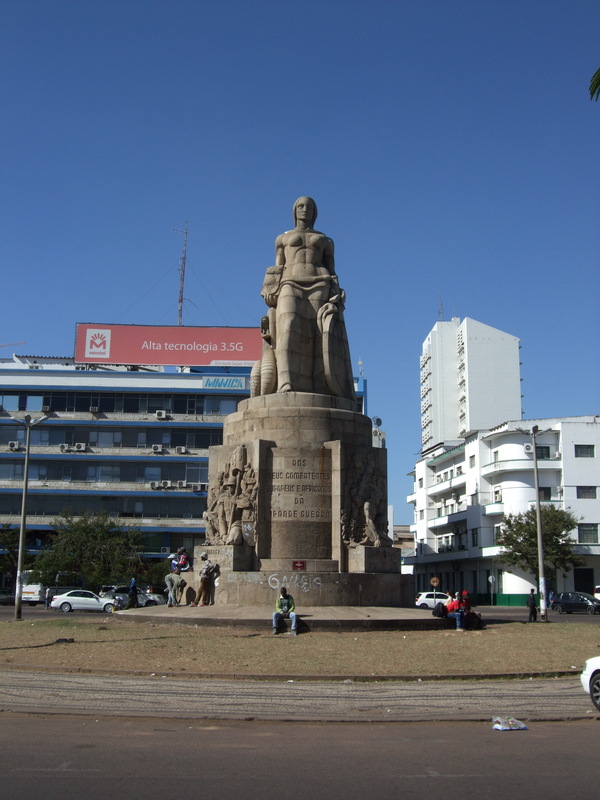 The Chilembwe rebellion, which took place against the British in neighbouring Nyasaland (Malawi) in 1915, was nonetheless a concern for the Portuguese. Chilembwe, a Christian preacher trained in the United States, had been a vocal and active anti-colonial campaigner for some time. In particular, he widely protested the racist basis of colonial rule, advocating instead the equality of men before God, and demanded an Africa for the Africans. The uprising consisted of planned co-ordinated attacks on the British settlers and infrastructure by hundreds of Africans, and for about two weeks succeeded in mobilising large numbers of people and controlling much of the non-urban space. The rebellion was violently suppressed with a mixture of British- African and Portuguese-African troops and ultimately failed. Nonetheless it decisively changed attitudes amongst the British about the assumed docility and loyalty of the peoples of Nyasaland, and demonstrated to some extent the significance of inter-imperial collaboration against anti-colonial rebels. 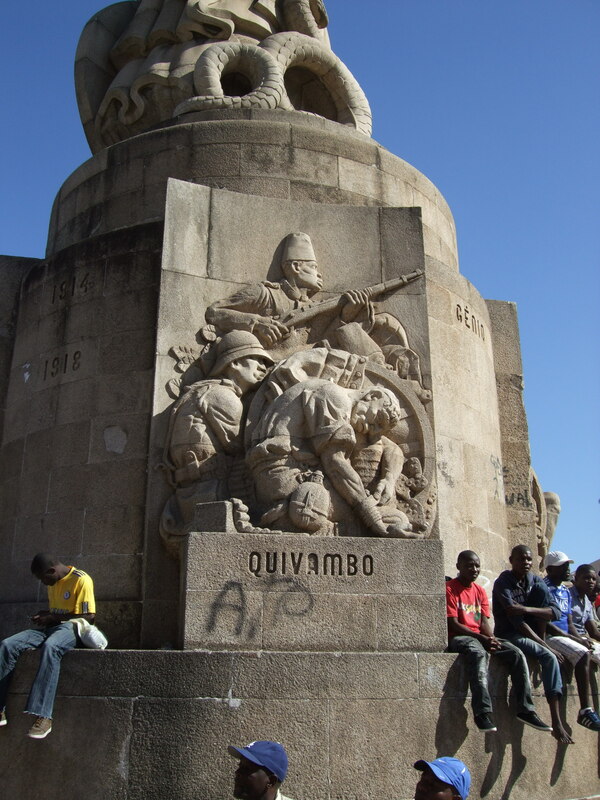 The emergence of a huge uprising in 1917 by the Barue / Makombe leaders was only a surprise then to the extent that it successfully co-ordinated other groups such as the Sena and Yao to mobilise simultaneously against colonial rule. They were also joined by the Chikunda, the descendants of the enslaved armies from the prazos. The Barue recognised the spiritual and political leadership of the role of the Makombe (leader), although there was competition for that role. The immediate cause for the rebellion was an upsurge in the demand for forced labour, to work on infrastructure projects in support of the war effort, as well as the breaking of various promises around taxation by the Portuguese. Under this rebellion, which lasted from March until November, 100,000 fled and hundreds of loyalists were killed. In comparison to the rather feeble numbers and state of troops deployed against the Germans, the Portuguese rapidly deployed 20,000 well-armed, well-paid Ngoni mercenaries, with a licence to plunder women and resources, to put down the rebels with as much force as possible. Many of the Barue leaders and the Makombe fled across the border to Malawi. The Portuguese were not alone in relying on forced labour, of course. Across the border in Niassaland (now Malawi), the thangata system required Africans to offer free labour to European estates. Material in this section from Paice, Tip and Run. As an indication of the poor preparation and state of the troops, in one military memoir it is recorded that they had sent twenty-six trucks but only six drivers for the large campaigns of 1917. The role of askari troops in this region is huge, constituting the vast majority of those fighting under European flags. Time and space do not permit a proper treatment of the complex and ambiguous role that they occupied; sworn and faithful to empire, yet themselves subjected to colonial racism and forms of violence. Moreover, the Yao were known for switching between fighting for the Germans and for the British interchangeably. See Barkawi’s work on Indian troops in the British army for insightful reflections on the significance of this mediating war-space. Isaacman, A, The Tradition of Resistance in the Zambesi Valley. *** I also want to acknowledge the excellent documentaries produced by David Olusoga on The World’s War: Forgotten Soldiers of Empire – watch them if you can. Thank you JPC! Yes, this is much better. I will correct in the post.